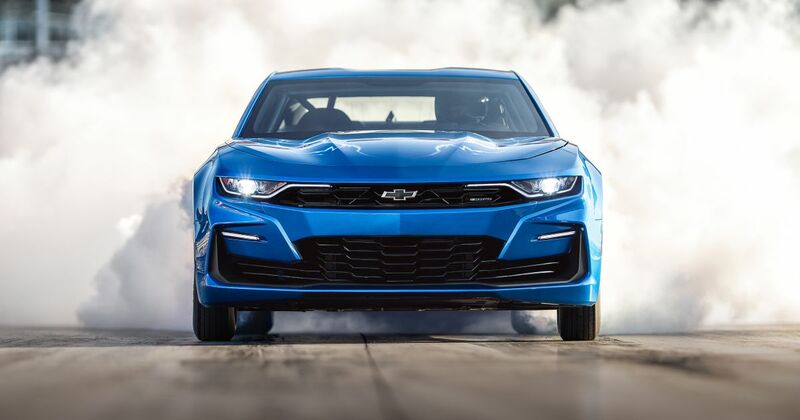 You’re looking at Chevrolet’s newest addition to its long line of Central Office Production Order (COPO) performance specials. And it’s electric. 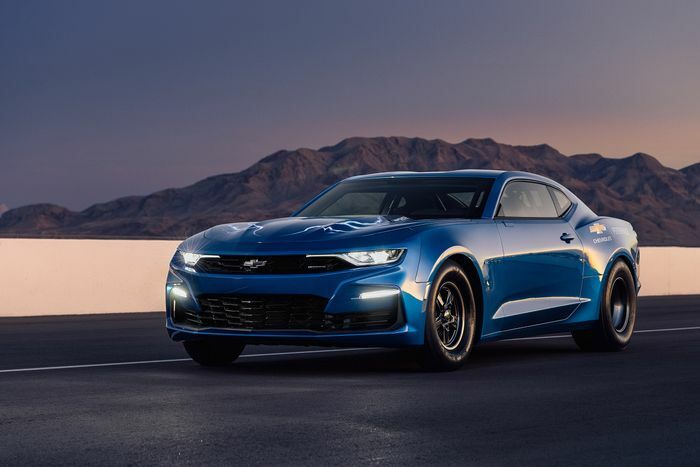 Based on the 2019 Camaro – which already has the SS model’s emergency facelift – the eCOPO concept packs a pair of BorgWarner electric motors built into a single assembly, capable of troubling the rear tyres with over 700bhp and 600lb ft of torque. The transmission is, interestingly, a conventional automatic, suggesting that the eCOPO has functional gears. The motor has the same bell housing mounting pattern and crankshaft flange as the LS family of V8s, meaning any gearbox that fits an LS should fit the eCOPO motor. The motor is designed in such a way, says GM, that to switch a compatible car to electric power you only need to remove the engine and bolt the motor into its place. Mounting the motor at the front does increase driveline frictional losses and means the motor has a lot more metal to spin, but the potential for easy EV swaps is astonishing. 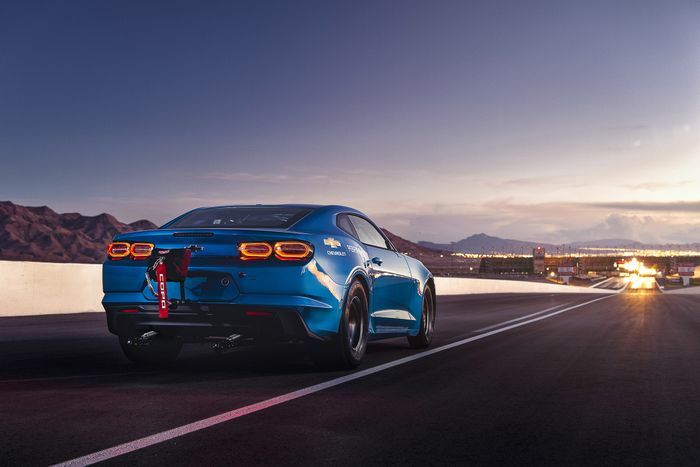 Built in collaboration with Hancock and Lane Racing, its current quarter-mile sprint times are in the nine-second region, but there’s more development to come. It runs on Chevrolet’s first 800v electrical system, made up of four 200v modules weighing almost 80kg each that are placed strategically around the chassis for better weight distribution. “The eCOPO Concept is all about where we go in the future with electrification in the high performance space. 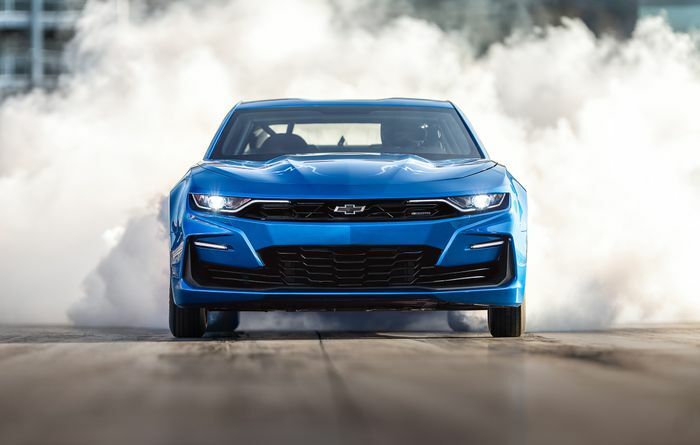 The original COPO Camaro program was all about pushing the envelope, and this concept is an exploration with the very same spirit. “The possibilities are intriguing and suggest a whole new world for racers. Chevrolet pioneered the concept of the high-performance crate engine right around the time the original COPO Camaro models were created, and the eCOPO project points to a future that could include electric crate motors for racing, or even your street rod.